Competenz’s most forward-thinking customers shared their stories of innovation and the challenges of keeping pace with change at the inaugural Horizons forum on 6 September. Sixty business leaders from around the country attended the event at Villa Maria Estate to hear from Pernod Ricard Operations Manager Anthony Quinn, PMP Group Managing Editor Simon Ellis, Stainless Design CEO Peter Pooran and DB Breweries Talent and Organisational Development manager Melissa Muirhead. 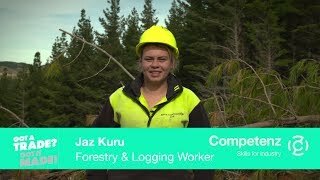 Competenz CEO Fiona Kingsford says: “Competenz works at the heart of a unique network of business owners and leaders who are committed to skills training and focused on the future. The speakers showcased their latest innovative products and business models, and answered questions from the audience in a panel discussion hosted by MC Andrew Patterson, presenter of the NBR Sunday Business podcast. For Peter Pooran, it was a chance to share his experience of the challenges his company faced when the dairy industry had taken a global downturn and farmers had stopped spending. “We were facing a bit of headwind. So we had to identify the things that really drive our business and increase profitability,” he said. Instead of monthly reflection, daily targets were set and progress was displayed at all times with visuals around the factory floor. Stainless Design is an innovative leader in the metal processing industry and has grown from a handful of employees to 130 since 1998. The company invests in developing its workforce, which Pooran says is a key component in enabling Stainless Design to meet its performance targets. Employees learn on-the-job, gaining qualifications developed and delivered by industry training organisation Competenz. The sheer pace of technological change was evident in a presentation from keynote speaker Frances Valintine. She presented a clear picture of the young people who will be joining the workforce in just a few years, and challenged employers to think about the benefits and difficulties this will present. Guests were also treated to a presentation from Paralympic medallist Liam Malone, who is passionate about ensuring young people are encouraged to explore all of the career opportunities available.